Client Corner: What types of enterprise budgets are available? I’ve just glanced through your Vegetable Production Worksheets and wanted to know if info is available on the type and/or quantity of fertilizer assumed for each crop and also the quantity of fuel used for each crop. I also see that these enterprise budgets were based on “small farm” production activities. Are there enterprise budgets available for larger-scale farming and livestock production? The vegetable budgets reflect 2-5 acres in production with a wide variety of crops grown. The fertilizers used are primarily organic; alfalfa meal, worm castings, compost in relatively small quantities, etc. Rarely are there any commercial fertilizer N-P-K products used. Most of the labor is conducted by hand, with the exception of the primary tillage which is done by a large garden tiller. There are other universities that have large scale vegetable production budgets; California, Michigan, and others. AgDM File A1-25 lists a number of resources where you should find some of the large-farm budgets. If you are looking for more conventional crop budgets (corn, soybean, etc. ), we do have some of those that would outline the level of fertility and the field operations that would be conducted. A separate publication would be able to estimate fuel usage for those operations. 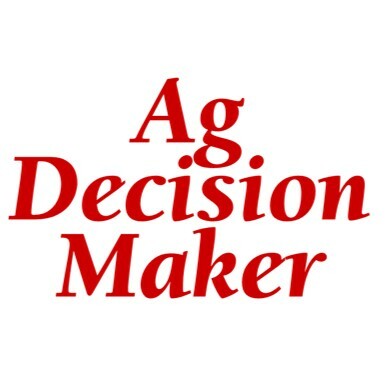 For this information, you could use Agricultural Decision Maker (AgDM) files A1-20 “Estimated Costs of Crop Production in Iowa – 2010” and A3-27 “Fuel Required for Field Operations“. The organic row-crop budgets use only composted manure for fertility along with alfalfa in the rotation. Keep in mind the tractor and implement set is usually smaller in an organic system so the fuel usage is likely to be less than its conventional counterpart. There are several livestock budgets located on the AgDM site as well. Information file B1-21 would outline the detail of those budgets. Leave a Comment on Client Corner: What types of enterprise budgets are available? Despite the economic downturn, there is still a high demand for organic corn and soybean food and feed grains, which presents a viable economic opportunity to U.S. row crop farmers. In addition, demand for local and organic fruits and vegetables is growing in Iowa and throughout the Midwest. Transitioning to successful organic production requires rapid acquisition of production, marketing and financial management skills. A course to help producers transition to organic agriculture will be offered from January 12 to April 29, 2010, from 6 PM to 9PM through the ISU Extension Organic Ag Program. This course, titled “Risk Management Tools for Transitioning into Organic Production,” will be run as an Adobe Connect™ system from the ISU campus, and downloadable on any computer with sufficient bandwidth. Attendance at all 16 sessions will not be required unless the individual wishes to take it as a three-credit campus course. A nominal fee of $10 per session ($50 for the course) will be charged to attendees to cover costs of technology and managing the program. Check with your local Extension Office to see if they are hosting this training or contact the ISU Organic Ag Program (515) 294-5116; or Kathleen Delate at kdelate@iastate.edu. Client Corner: How do I transition to organic production? How do I transition from conventional to organic crop production? Changing from conventional to organic produc­tion is a regulated process. Organic “certification” requires that crops do not receive any synthetic chemicals including fertilizers or pesticides for three years prior to the harvest of the crops. As an example, to sell this year’s corn harvested on November 1, 2009, as organic would require that the land received no synthetic chemicals since October 31, 2006. While the tran­sition to certification time period is three years, the number of crops that need to be sold as transition crops could be two. For this example, crops grown in 2007 and 2008 must be grown using organic methods but cannot be sold as organic. A Decision Tool is available to help analyze the transition process. The spreadsheet allows the user to choose which crops to change first as well as to develop a whole-farm summary to see how returns are affected each year of the transition process. The spreadsheet uses a five-year transition process. Conventional budgets are available for corn, soybean, and oat. Organic budgets are provided for corn, soybean, oat, and alfalfa. A blank budget is available to enable the user to input a crop that is not listed (e.g., barley, wheat, clover, etc.). Presentation Slides: Organic Agriculture – How Viable/Still Viable? Leave a Comment on Client Corner: How do I transition to organic production?